Hi, guys. 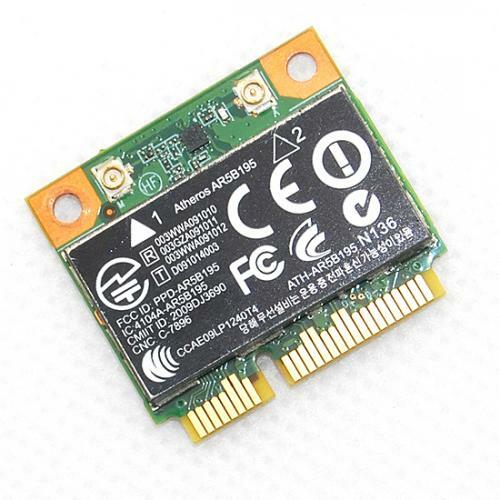 I’m facing a problem with a wifi/bluetooth combo card. I bought this PCI-e 1X adapter and a BCM943224PCIEBT2 (BCM43224) card, which is a common module on Macbook Air models from 2010 up to 2012. The items were bought separately, and when they both arrived I installed on a PCIe slot of my machine running OSX 10.11.5 (El Capitan) and connected the mandatory micro usb port of the module on a USB port on the back of my Gigabyte motherboard using the provided cable. The wifi is fully recognised and works effortlessly and though the bluetooth module is present on the Preferences Pane and on OSX menu bar, it simply doesn’t recognise my Magic Trackpad and Magic Keyboard (they both are recognised by my Macbook Pro). I tried to make it recognise something else (an AirTracks bluetooth headphone), but it was to no avail. Strangely, there is a unknown device which appears on the bluetooth panel which I have no idea what it is (it is not mine for sure, it could be from a neighbour or it simply could be an error, since it doesn’t recognise my Apple devices which are in front of it). This unknown device is shown with the Magic Mouse icon, but it doesn’t connect too and it is not shown on the Magic Mouse portion of the Pref Pane. I installed Sierra and Mavericks on a separate partition to verify if it was not simply an El Capitan issue, but it worked the same way on both: wifi fully working, bluetooth present on Preferences Panel, but nothing is recognised. I also have installed both BrcmFirmwareData.kext and BrcmPatchRAM2 following the instructions here first on S/L/E then on Clover/Kexts/10.11 folder on EFI partition and things are the same. I’m already providing the System Information screenshots showing the wifi, bluetooth and USB Hub info for you to check what is possibly wrong here. My setup is made of an Intel i7 4770 on a Gigabyte Z97M-D3H with 16Gb of ram (2x8 HyperX modules) and OSX installed on a SanDisk SDSSDA240G. I’m using Intel onboard graphics.Can you guys help solve this issue? Thanks a lot! Hello everyone. I'm here because I've installed "El Capitan" and everything works well except the HDMI Audio. 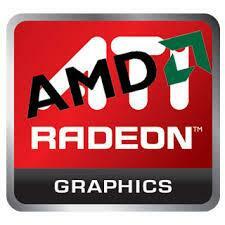 My graphic card is AMD Radeon HD 6370M and my sound card is ALC272. In Windows, I've used "HWInfo" to see the drivers of my computer and my HDMI Audio driver is "ATI/AMD Cedar/Park/Robson - High Definition Audio Controller". In Audio settings of El capitan, I don't have any hdmi devices and I don't know why it's not detected. I've used "Ipomoea" as framebuffer. If you need more informations, just ask me for it. Thanks you in advance. Hey all - first time post here. I built a hackintosh with the following specs below. I'm having a lot of trouble getting to the actually usb-installer I made with clover - more below. System Build: MOTHERBOARD: ASRock H170M LGA 1151 USB 3.0 Mini ITX CPU: Intel Core i5-6600 6M Skylake Quad-Core 3.3 GHz LGA 1151 RAM: Crucial 8GB 288-Pin DDR4 SDRAM DDR4 2133 GPU: VGA GeForce GTX 750 2GB GDDR5 PCIe HDD: SAMSUNG 850 EVO 2.5" 250GB SATA3 SSD PSU: CORSAIR CS-M Series CS550M 550W 24-pin PSU CASE: $40 COOLER MASTER Elite 110 Mini-ITX Configuration specifics: graphics are trying to be run via the motherboard dvi port (that others have suggested to use when booting) This system properly boots via UEFI (recognizing all hardware installed), and gets to clover . I've tried booting clover with several boot flags such as -v -x npci=off , etc. But when I try to do this, it brings up apple logo and then has as error (see attached: 20161027_173820.jpg ). That error is: panic(......."Unable to find driver for this platform: ACPI ..... IOPlatformExpert.cpp:1665") How can I resolve this? I'm really at a loss. Thank you! Will my PC build work? Hello I am new to this kind of stuff so i hope you can all give me some great advice and guidance with that said what I would like to do is. 1) Dual boot Mac OS X Yosemite or El Capitan with Windows 7 Professional 64 2) or just be able to set up one of the two above mentioned Mac OS in virtual-box with windows 7 as the host OS. 3) and get it to run, shutdown, update all without thrown panics, exceptions, or breaking the OS. Here is my system specs: Motherboard: MSI 970A-G43 (model no. 7693) I think it supports EUFI Processor: AMD FX-6300 6 Core Black Edition Video Card: DIAMOND ATI AMD Radeon HD 5750 PCIE 1024MB GDDR5. I have an alternative video card I can use, but i think it is not as good as the before mentioned one MSI AMD RADEON R6450-MD2GD3/LP except mine does not have the built in cooling fans as shown in the MSI photo mine just have the metal heat sink block but everything else seems to be the same. 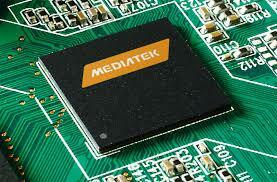 My sound and Ethernet drivers are ran from the motherboard and I believe them to be Intel chip set . Ram: 10 GB DDR3 1333 I would appreciate any and all suggestions and links, the only thing is I live on a limited income and budget and do not have the cash to just go out and buy new equipment with that said could you please help with the following: 1) which boot loader I should use and why. and or links 2) kernel flags and why or what they do and or links 3) any other information i will or may need to consider that i left out because I am ignorant of this subject. Thanks in advance! 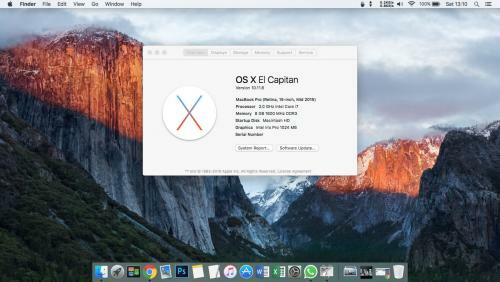 OS X El Capitan 10.11.4 is out! OS X El Capitan 10.11.4 in App Store ..and we have a new XCode. Compatible with El Capitan 10.11.1 ? Install the kexts in S/L/E? ? GraphicsEnabler = 0 ? the model has to be MacPro5,1? Asus G552JX Functional Clover installs and upgrades tested on OSX 10.11.3 Screenshoots Specification's What's Working and Known Issue's Installation Updating Thats it. now you can enjoy your new hackintosh run on your Asus ROG GL552JX. Thank you. Oh for the Known Issue/Not Working section, hope anyone can help to solve my problem. I have created an Enoch-bootable USB Installer volume for El Capitan, and after applying USB fixes, I can get it to boot all the way to the OS X Installer welcome screen. Unfortunately, my mouse is non-responsive at that point. I can get past the language selector screen by hitting return or enter, but can't get past the next screen (with the Back and Continue buttons at the bottom). My tab key works for switching the highlight outline from one button to the other, but hitting return/enter after highlighting the Continue button does nothing. The system will recognize a Cmd+Q, and put up the Quit dialog, but from there I can only get to the Startup Disk selector, and can't do a thing except reboot. Any ideas on what kernel flags or other fixes I need to get to the OS X installer with a working mouse (and keyboard)?